Some of our decisions seem stupid when rated in term of efficiency. 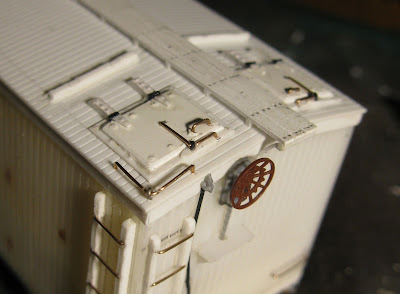 In this case, rebuilding Varney and Life-Like wood reefers as GARX refrigerator cars may sound foolish, and to some extent it is. However, simply judging a project value – particularly in the case of a hobby – from this perspective is brush over many layers of relevance. 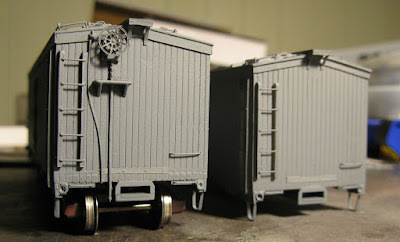 The project started when I found out the general proportions of these models were a good match for 37ft meat reefers - a common lenght for decades in the packing industry - an idea found on Tony Thompson's blog. 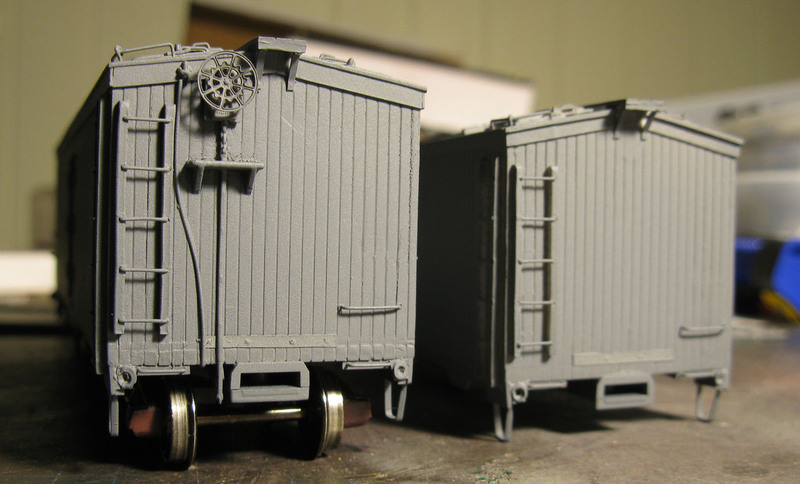 I had two cars, plenty of trucks and freight car parts that could be used to bring them to life. Dry transfer lettering is also a cheap and convenient commodity. Thus, my mind sought to find a way to make decent models out of them. My guess was that following prototype pictures and Rapido’s own meat reefer official artwork would yield acceptable results. Little did I know that I would venture in quite a quest. Individually carved wood planks with bolts and wood grain. Certainly, I can affirm a lot of work was involved. At the end of the day, only the car sides and ends were kept. Grabirons, stirrups, roof and hatches, brake gear and underframe were removed altogether, including door hinges. Someone could argue I would have been better to scratchbuild the damn thing from scratch and save myself a lot of tedious and unrewarding work. That’s probably true… However, I had to use several different techniques and skills to get the results I wanted. This kind of learning will be useful on other more worthy models. Practice makes perfect they say, and you can’t skip that step – even if it may look petty – if you wish to be a better craftman. I didn't count the exact time it took to upgrade the models, but it certainly occupied me with quality leisure time for a few weeks. 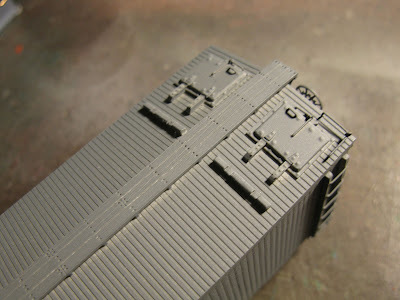 At each day, I looked at the models and decided which little detail I wanted to build or improve, taking my time to do the job right. If my explanation isn’t clear enough, think about it in terms of digital video encoding. If you only use a one-pass algorithm, you’ll get a somewhat acceptable result. But as you make a second and a third pass, fluidity and sharpness greatly improve. Depending of your goal, it can or cannot fit your aspiration. But if you want to learn skill and reach excellence in your modelling, this could be a good way. 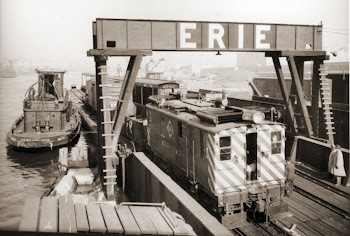 In my case, I’ll continue to upgrade older freight cars, as they are an excellent way to improve oneself and spend some quality leisure time.